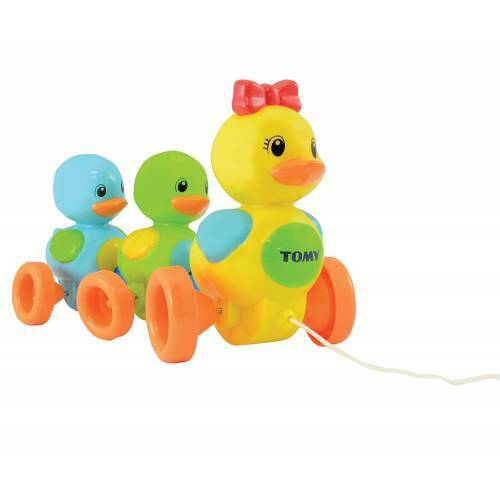 Quack Along Ducks is a pull-along toy designed for little hands. Colourful, bright and durable, this cute toy will grow with your child! 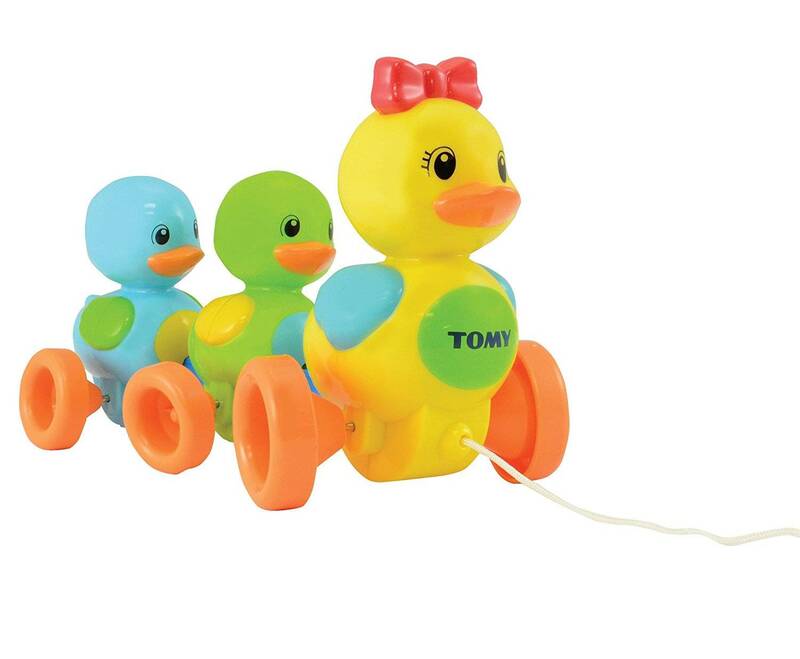 Simply pull the cord at the front of the mommy duck and watch as she moves along the floor followed by her two ducklings. Quack Along Ducks waddle from side to side as they are pulled around the floor and make a funny quacking melody as they move along. 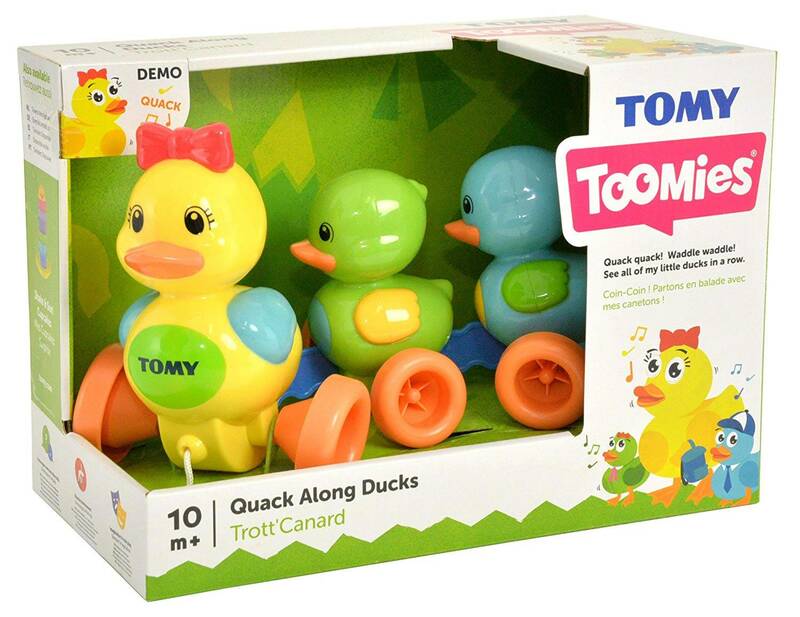 These ducks encourage hand-eye coordination and bring a smile to baby's face! Batteries included.